Don't let fear block the gifts the Universe is giving you. Accept those gifts with gratitude, share them with others and watch a river of abundance flow from you to others and back to you again. 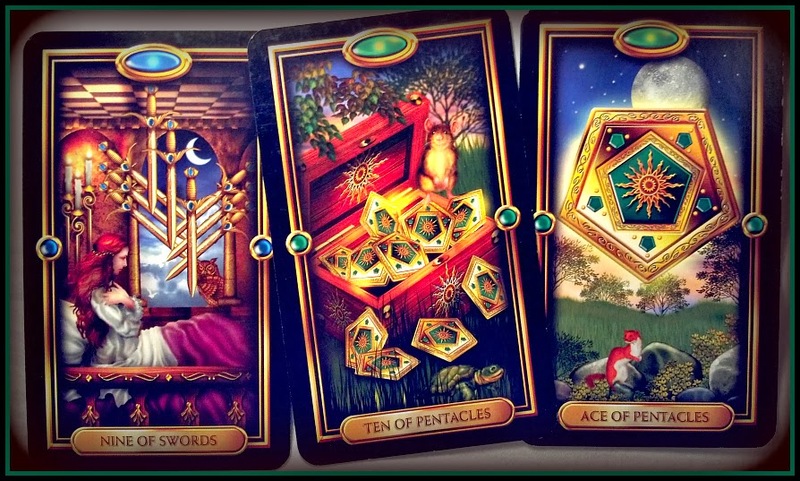 So, are these draws cards that you are choosing to represent the quotes and the attitudes you want to embrace? I like the concept, and those are some lovely cards! It's actually an exercise I'm trying to get to know the cards a little better. I draw three and try to pare down the meaning of those three cards to just one or two sentences of advice, insight, or inspiration. It's surprisingly hard for me to do, but it's fun. Then I look for a quote that captures the essence of the reading just to pin it down a little more for myself.